Good question and good analogy. I try not to think about those negative things because people DO get published all the time. I try to think about the people for who it happens, writers just like me who toiled and hoped and if it happened for them, it can for me :) But also, I think about why I'm writing and how much I like it, no matter what! I hang on tight to the dream and shove off discouragement. Yes, we've seen many of our friends get agents and contracts in recent months. There are slots out there for new writers. The acceptances on my non-fiction writing help fuel me with the fiction. I'm also gaining credibility as a writer. Sometimes I don't fend off the thoughts, then I sink in the muck of Eyore thinking. But that's no fun, and so lonesome. I love to read the Word of God, especially the Psalms. David's words encourage me when I'm ready to give up. I also like to listen to praise music, to get my mind off my little self. This reinded me of a piece I wrote some years ago called, "Keeping God in the Nest". It was "inspired" by a birds'nest in the back porch rail. The cat used to sit and watch while I watched and sweat -- and prayed for the safety of all concerned. Have you had this published, Susan. If not, go for it! Blessings. Susan, I rarely leave comments because I can't figure out how to edit out typos. Woe is me. LOL. 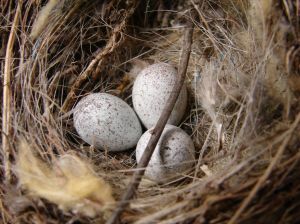 If you didn't get my previous comment about the birds' nest, let me know. Blessings. Sometimes I'll stop and ask myself, "What got me so down?" It's surprising how it can be the smallest thing. I'll turn it over, examine it, and bring it to the Lord. Great point! After all, following His instructions takes priority. If you email me, and I'll try to help you with the comment problems. I haven't submitted this anywhere, but thanks for the idea. Great post Susan, thanks!! I read motivational books, I read quotes on writing/publishing that will keep me focussed, I hang on to God's promises for my life and yes, ofcourse, reading blogs (like yours) helps a lot!! Thanks. Another great post, Susan! Freelance work has been tough lately, too. A lot of prayer and trusting in the Lord's timing keeps me going. 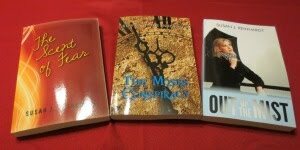 I also try to remember that my passion for writing is my reason to write -- and publication is a bonus. I try to focus on how blessed I am in other areas! Sometimes I can get so focused on what I don't have (publication) and forget that I'm walking on many Promise Lands (husband, children, church, etc.) that God gave me freely! Someone loaned me a couple of motivational books. They did encourage me. Like you, focusing on God's promises for my life means a lot. Funny you should mention God's timing. I tried to write about my experiences walking through grief and difficult times. It's only in recent months I've been able to see some interest in that subject from editors. Oh, good point! We often focus on the 20% of our lives that aren't so hot, while ignoring the 80% that's wonderful. It's about consciously replacing those negative thoughts with positive ones, and then reinforcing them. And awesome support system is key! Best to you, Susan, in 2011! A support system is critical, especially when those rejections arrive. I'm so thankful for all my blogging friends. The only thing I can do is write for that Audience of One, Colossians 3:23-24 style. Do the VERY BEST that I can. I agree totally with your focus.